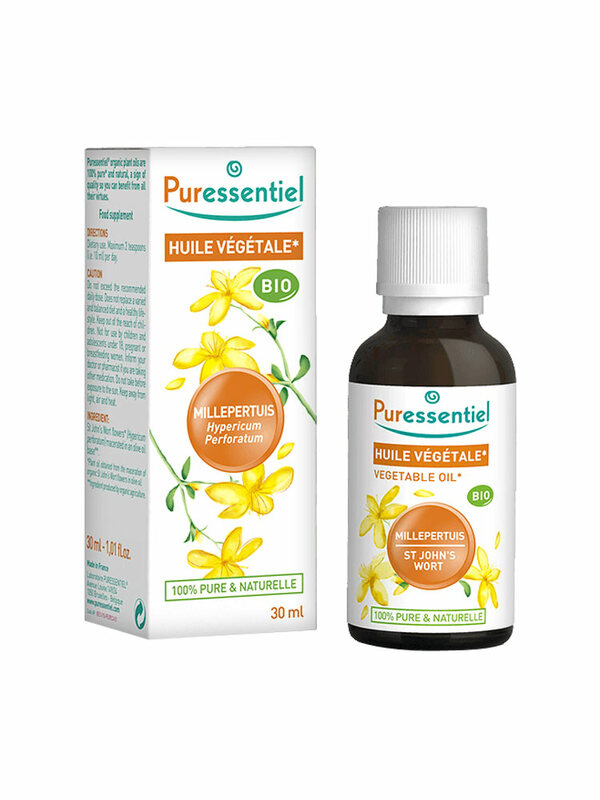 Puressentiel Organic St John's Wort Vegetable Oil 30ml is a 100% pure and natural vegetable oil guarantee of quality that will allow you to benefit from all its properties. The organic st john's wort vegetable oil is to use to cook and is ideal to replace some oils when people are allergic or intolerant. Food use. Do not heat the oil. Do not use for children under 18 years old, pregnant or breastfeeding women. Indication: St John's Wort vegetable oil. Macérât de Fleurs de Millepertuis (Hypericum Perforatum) sur une base d'huile d'olive*.